Izmir-born Doruk Güralp is another talent in Istanbul that convinces with his versatility. 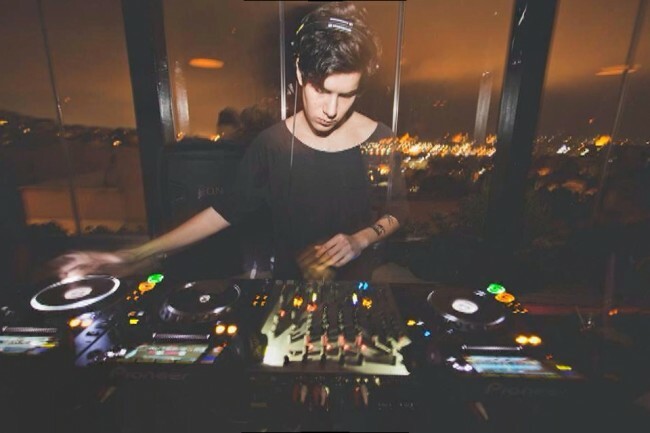 He plays big tech house oriented events as comfortable as deeper dance floors and shares a love for contemporary techno. Own productions are also at the ready. Reason enough for us to catch him for EDHID’s SHORTCUT series. Where do you feel home? Where my friends & good music are. When was your first contact with music? My father was a drummer, so I can easily say that since the day I was aware of myself. Which was your first record bought and what memories do you associate with it? I was at my cousin’s house and we were listening to ‘The Scatman’. I remember turning to my mother and yelling ‘I want this song’, then my mother approached to my aunt asking ‘what is this?’ and she accidentally showed the cover of Black Album. The next day we went to the music store and bought Black Album. I remember listening that album for all day and wondering when will that Scatman would play.. well, it didn’t. This is like the best situation I can ask for. Getting to know Metallica when I was so so young. Do you collect vinyl? If yes, which is your favourite record store? Yes, I do. Although i usually order from Juno, I tend to visit Analog Kültür & Deform regularly. Apart from that, London’s Phonica is my favourite spot. What brought you to do DJing? Playing the tracks I love to the people in front of me and seeing them enjoying themselves. When and what was your first mix? Around 2006 in Izmir. Lots of Justice & Soulwax & Mr. Oizo etc. Although it depends on the mood, venue and time; let’s say I try to keep the balance between tech house and techno. Which medium do you use to play? What are your favourite spots to play? 1888 in Izmir and Wake Up Call in Istanbul. Which record is your secret weapon? I recently started to play Gel Abril ‘Very Wrong’ (Chaim Remix) again. Nice feedback on that one. What is the best and what is worst thing about DJing? Best: I usually play in clubs that I’ve been regularly so it’s like a huge meeting and catching up with friends. What is your personal hangover killer? Which art comes second for you after music? I’m considering sneakers as an art. What comes in your mind when thinking of Istanbul? Unique energy under the laws of one of worst governments of history. I’ll be in Berlin for 4 months, so hopefully I can focus on my music and finish my EP.